Besides being great productivity and entertainment tools, our smart devices have also become a major time hog. The compulsive use of smartphones is a modern plague, and even if you are a proud smartphone addict thinking you do not need help, your significant other will tell you a different story. An hour and a half in WhatsApp, almost two hours in The 7th Guest, another 80 minutes in The Enchanted Cave, about 50 minutes texting – surely, there must be a better way to spend the day. Quiality Time app is about that quality time you can spend with your family and friends, or working and creating instead of tweeting your best productive hours away. 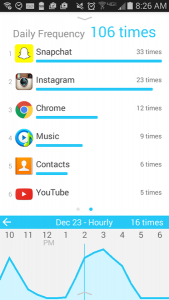 My Digital Diet is an app designed to give you a genuine shock or awe as you see it counting how many hours you spend living in the confines of that small, suffocating digital world per day, week, month. The app runs silently in the background tapping in the data stream your Android device already collects about your app usage anyway. On the contrary, the iOS ecosystem makes an app like this impossible to make, at least for now, so sorry iPhone users. It will most likely not impress you on the first day since this kind of data is best perceived in retrospective. However, it is worth letting it do its job for about a week and then take a good look at its data. In a clean cut and eye-pleasing interface, QualityTime presents you with a detailed breakdown of your app-specific usage, down to a second’s precision. 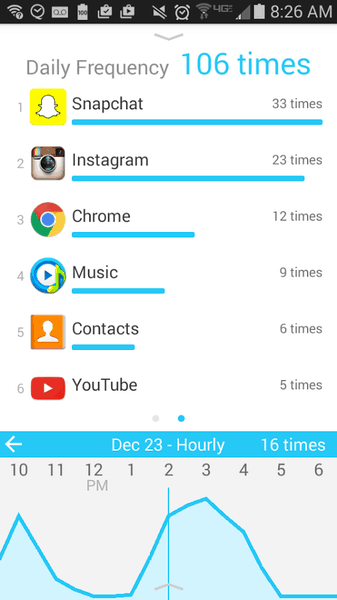 You can view it as you like – sort by day, week, month, individual app usage, total usage, screen unlocks, or frequency. 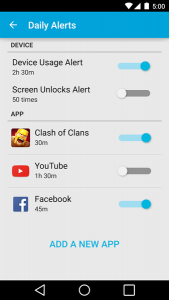 You will get a clear idea of which apps consume the most of your time, as well as see how much time you really spend on some of the most addicting games. The bottom line is – it is one thing to know you are addicted to DomiNations or King of Thieves, but it’s another thing to see how much time you waste on them daily. That detailed and data-backed knowledge may send cold sweat down your spine, especially if your personal or professional life takes the toll of your mobile addictions. QualityTime features a few additional perks power users will appreciate, namely the IFTTT compatibility, so you can use the recipes available on IFTTT, or think of new ones. In addition, if you make a resolution to not check out your Facebook, Twitter or group chat with your classmates during the night, and get a good night’s sleep instead, you can use the app to make sure you fulfill that promise. 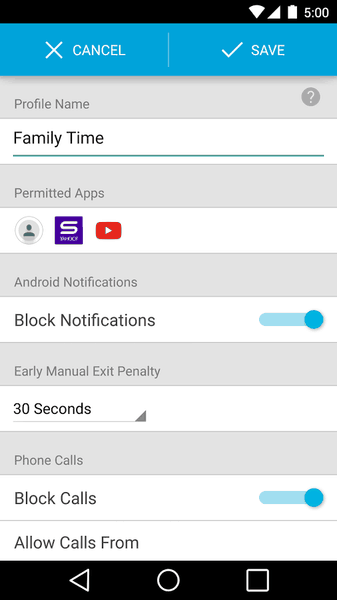 You know, in case you don’t trust yourself and know the moment you get into bed, and your phone starts buzzing with Notifications, you are sure to break that promise, QualityTime will not let you do that, and here is how. 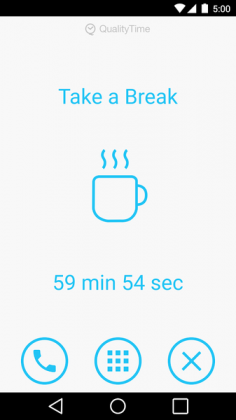 It offers a “Take a Break” feature, which lets you to block your own compulsive usage of your smartphone for a set period of time. Alternatively, it offers scheduled breaks and alerts for those times when you are over-using specific apps or games. You can white-list some apps, as well as contacts, so that during your scheduled or improvised breaks, you still get the important notifications from the apps you need for work, or phone calls and messages from the people you need to stay connected with. Everything else gets silenced for user-defined time, delivering you from the need to resist the temptation. Of course, there are ways to over—ride the blocks, if a need should arise. 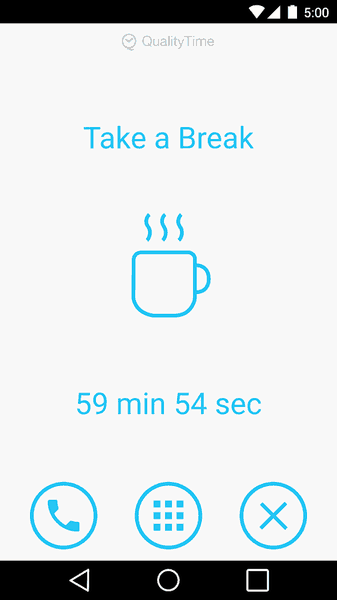 Another nifty feature of the app is the possibility to create different profiles of your own and customize which apps, notifications and contacts should be white-listed for your scheduled breaks and take a break times. You can even set the auto-reply text messages for the time you are having a break for everyone except the white-listed contacts. Besides limiting your usage of addicting apps, you will also get a useful insight on how to customize your device better. For example, if you are using WhatsApp ten times more often than Gmail, there is no point keeping it in a folder while letting the Gmail occupy the slot in the fast access area, or in the lock screen. One more great feature of QualityTime is you can use it without signing up. The only limit of a no account usage is the stats you will see will be limited by 2 weeks while the registered users will be able to monitor their device usage for up to 6 months. At some point, there may appear an option to get a paid account with the possibility to track longer periods. Registered users will also be able to keep a back-up of their stats and reports in the cloud. The UI and design is quite easy to sort out – you just swipe up and down, left and right, tap on bubbles and see how the report changes the ways to sort the collected stats. The digital diet part of the app lets you see how many times you have accessed your apps and how long you have spent using them, as well as receive an automatically generated report every morning. 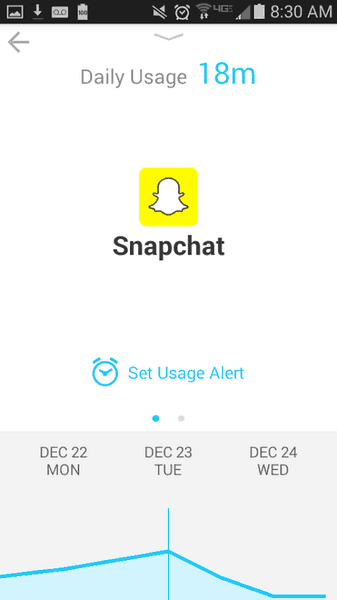 You can select a specific date and “zoom in” for the hourly usage, or tap on any app of your interest to get a view based on the time and access frequency to get a better idea of your usage patterns. Moreover, you can disable tracking at all, or disable tracking of specific apps. 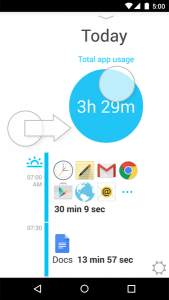 The dashboard widget will give you a quick look at your today’s usage while the “take a break” widget lets you disconnect quickly. 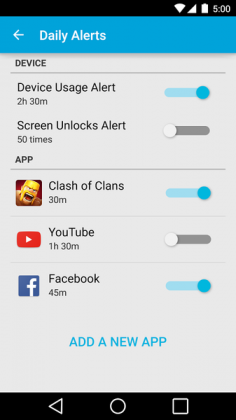 But the truly amazing feature is the possibility to create alarms for the addictive apps and games. So, you can now limit your gaming time automatically, or you can at least try. 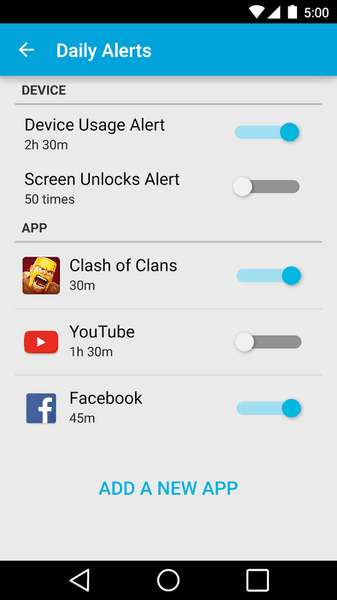 The only limit here is you can let the alarms for up to 5 apps, or games for now. The app also offers a Missed Notifications center, where you catch up with the notifications the app blocked while you were having a break. Overall, the performance is smooth and the developer is quick to respond to user feedback. 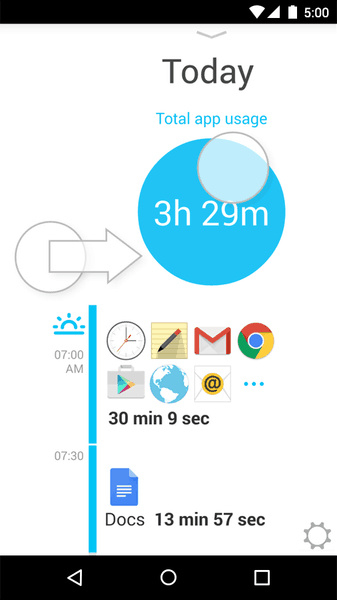 There are other similar apps, but QualityTime has quickly gained affection among Android users for its functionality, simplicity and beautiful design. 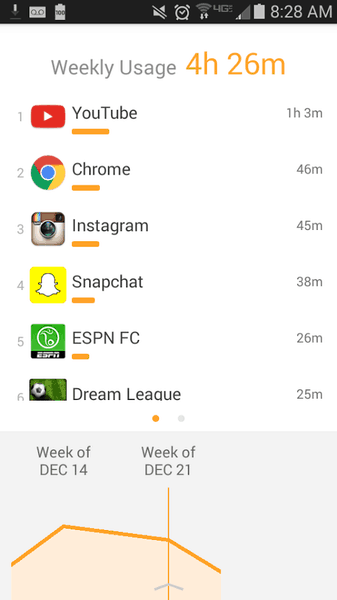 Its chronological log of apps usage is pretty unique, and the number of ways you can sort the data is impressive. Rest, play and be productive better, knowing this smart app keeps tabs on your compulsive texting or gaming. 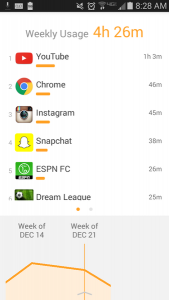 QualityTime's chronological log of apps usage is pretty unique, and the number of ways you can sort the data is impressive. IFTTT support lets you fine-tune its features even further, and overall it's a great tool for the productivity nerds. We recommend it.